How often has my spirit turned to thee! 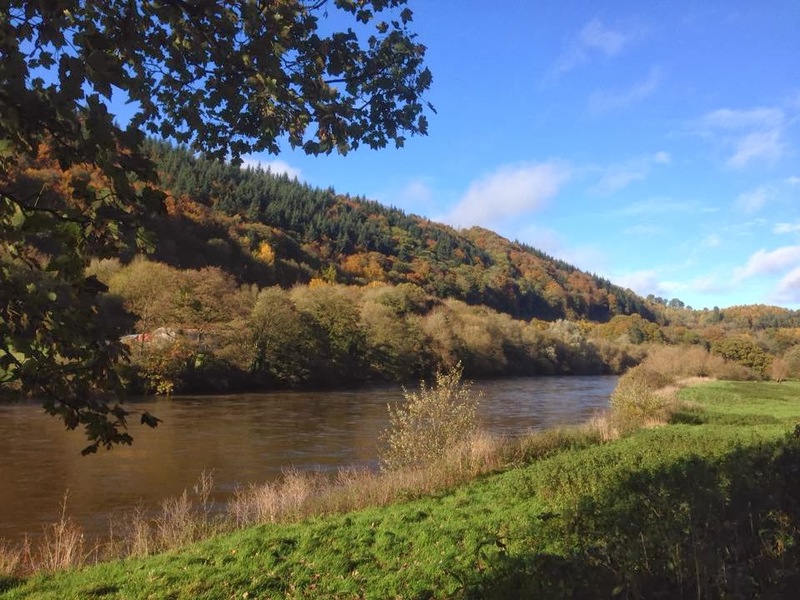 The recent dreadful weather has been preventing anything but a quick dash of a walk, so this week I'm taking a look back to another lovely walk done last Autumn in the Wye Valley, along the 'Peregrine Path' between Monmouth and Symonds Yat. 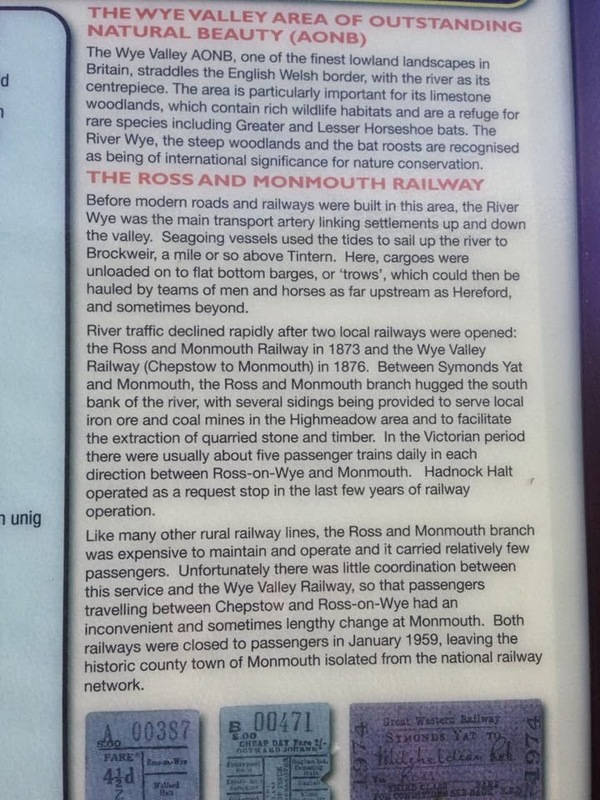 The 'Peregrine Path' follows the route of the old Ross to Monmouth railway line which opened in 1873. 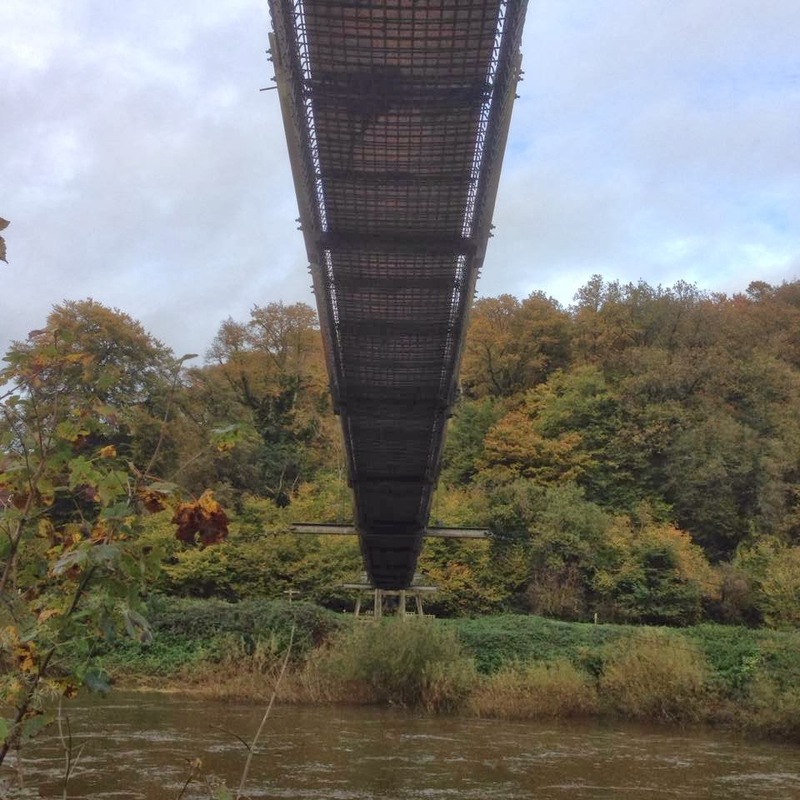 It is a popular, dog friendly, easy, traffic and barrier free, walk and cycle route running mainly alongside the River Wye and passes directly under the famous 'Yat Rock' which is home to a pair of nesting Peregrine Falcons - hence the name 'Peregrine Path'. 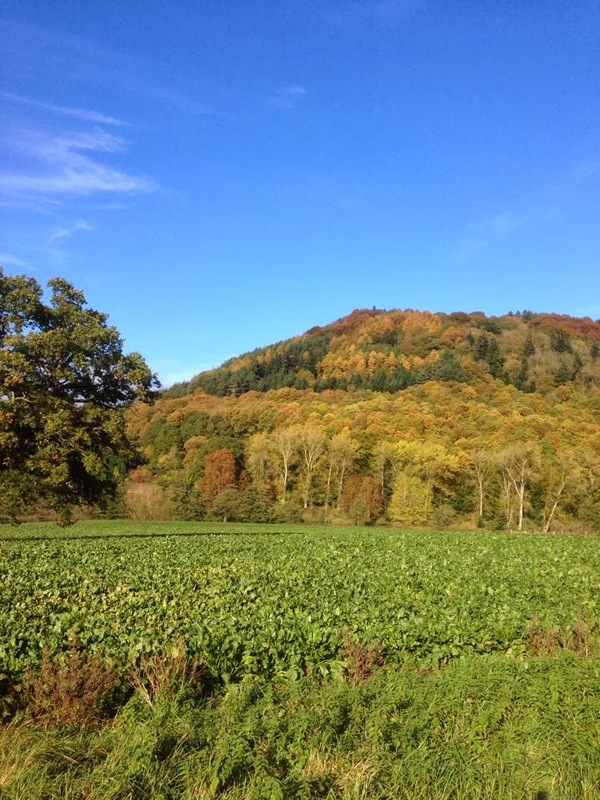 The walk starts just outside Monmouth on Hadnock Road on the Eastern bank of the Wye and its about 3 miles along the Peregrine Path to Symonds Yat (so roughly a 6 mile return trip). 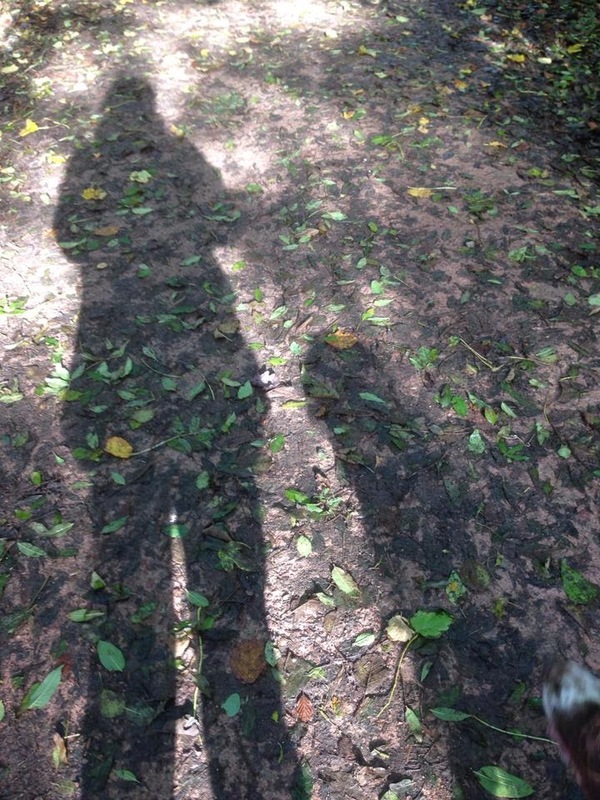 Of course you could do the walk the other way around if you prefer and start at Symonds Yat East. 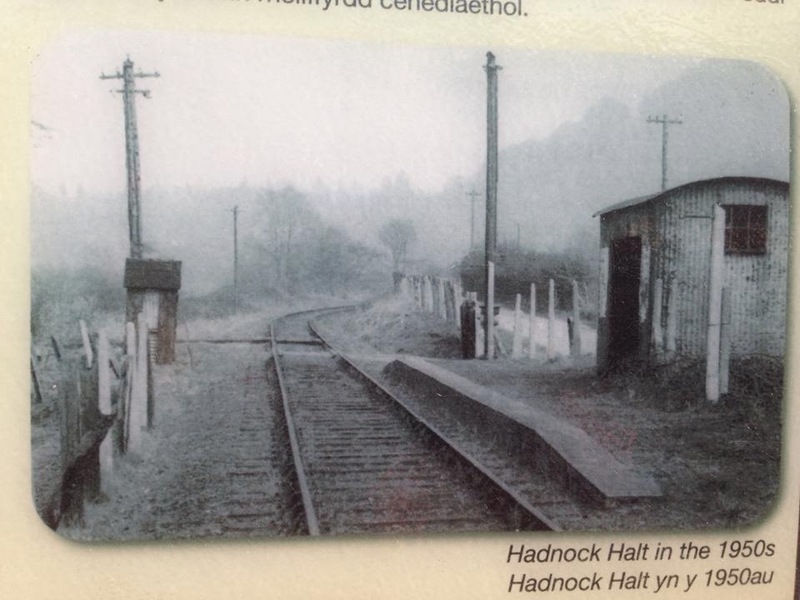 Hadnock Halt was a small stop by request halt provided by the Great Western Railway in 1951 on the Ross and Monmouth Railway. It had a 1 ft high 10 yd long platform and a small shelter and it served a small cluster of houses about 2 miles from Monmouth off Hadnock Lane. 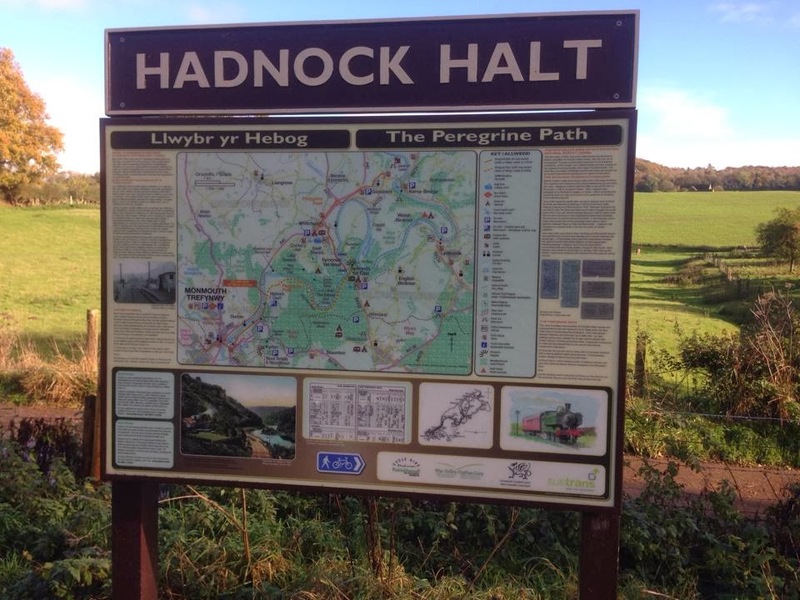 When the railway line closed in 1959 Hadnock Halt disappeared but has been reinstated as an information point near the start of the Peregrine Path. 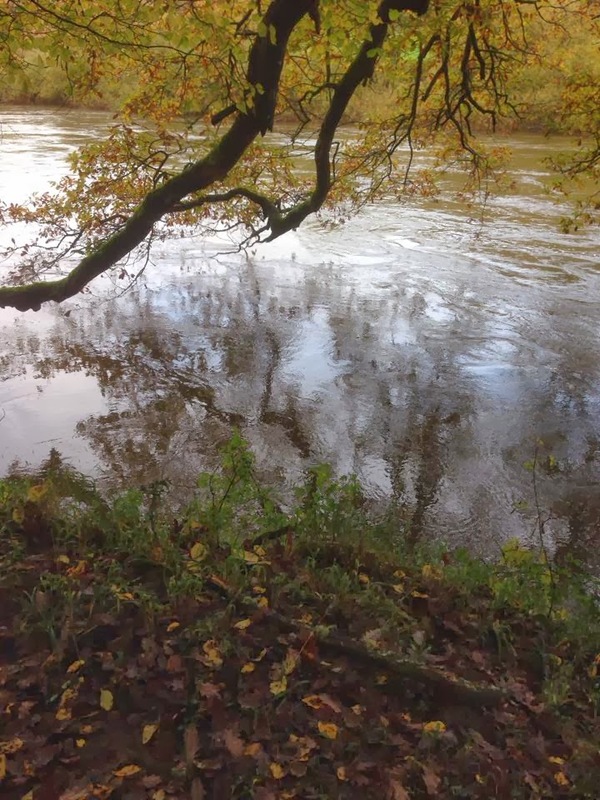 From Hadnock Halt the Peregrine Path pretty much follows the course of the River Wye. 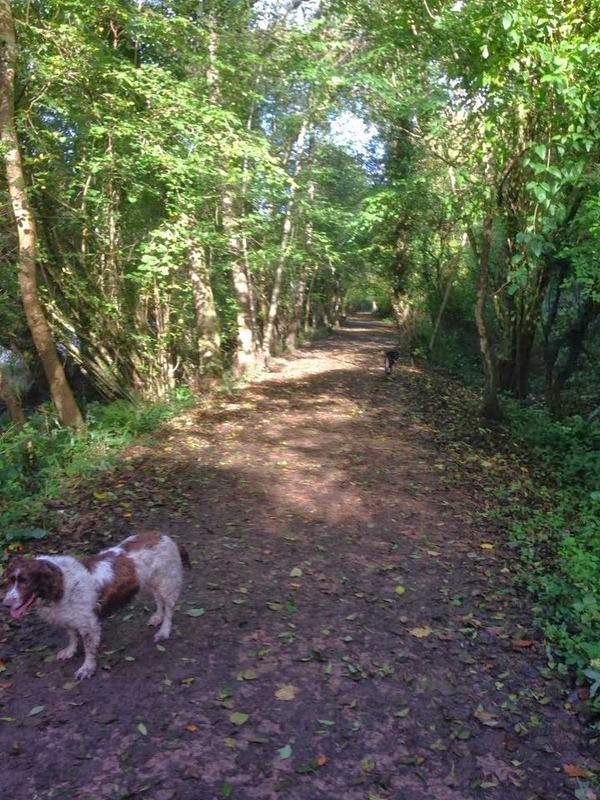 En-route you will pass Lady Park wood, a National Nature reserve, where long term research has been carried out to study habitat conservation in broad leaved woodland and the changes that take place when people do not interfere with natural processes. 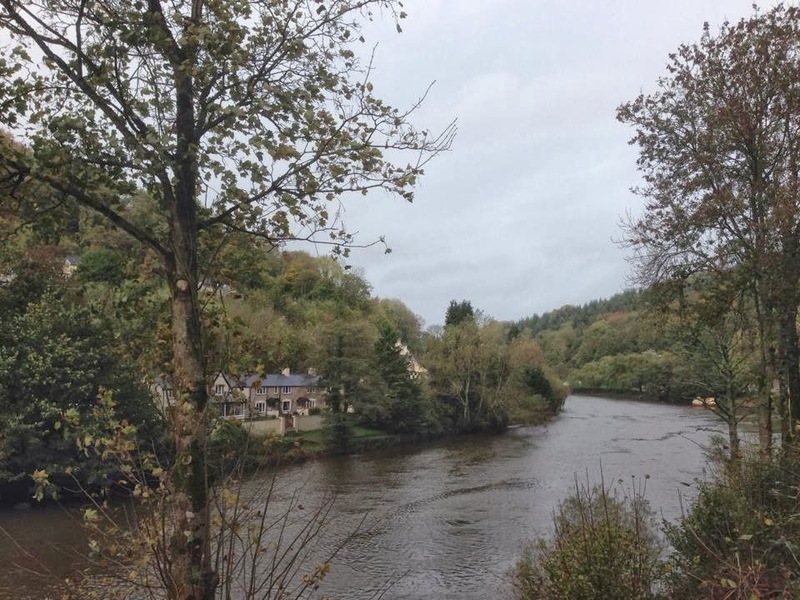 In 1957 the Forestry Commission built a small suspension bridge across the River Wye linking the Symonds Yat East side with The Biblins camping ground on the western bank. The bridge was built from local oak and heavy duty steel cables. 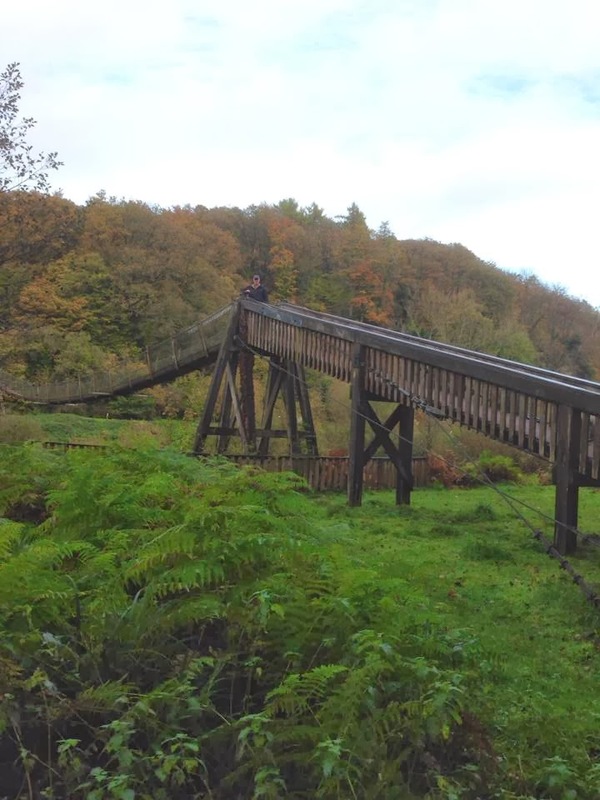 By 1997 the bridge timbers had begun to rot and the bridge was refurbished. 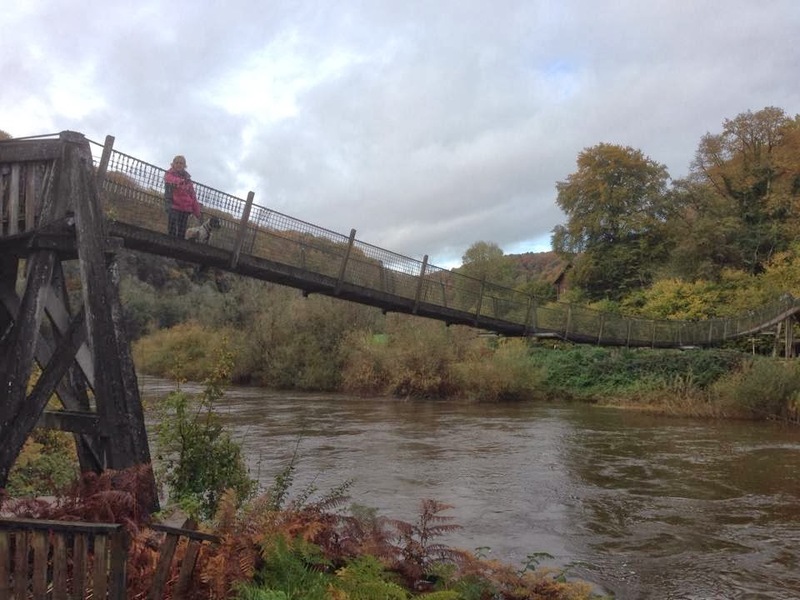 The bridge is designed to take the weight of 30 people but you are advised for health and safety reasons that only 6 people should be on it at any one time. 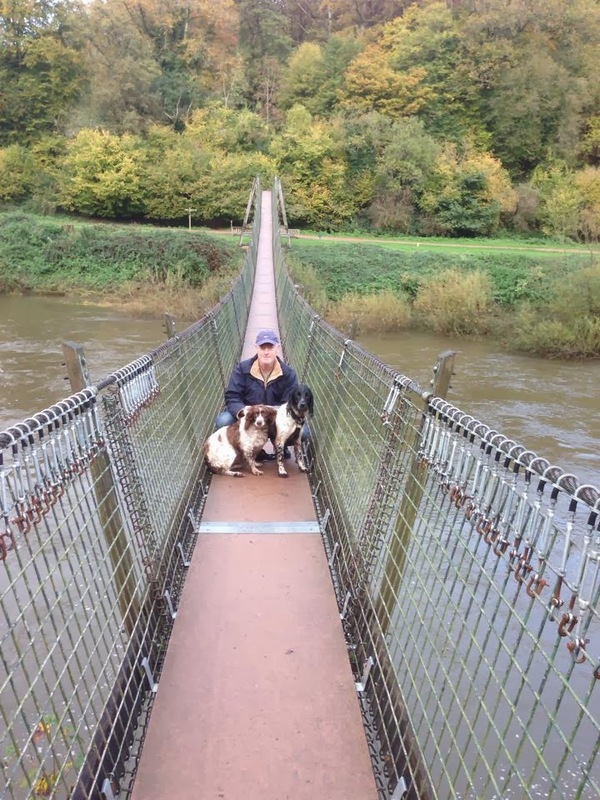 The bridge does bounce and sway a little as you cross but its sides are enclosed with heavy wire mesh and it is therefore relatively safe for small children and dogs to use it. 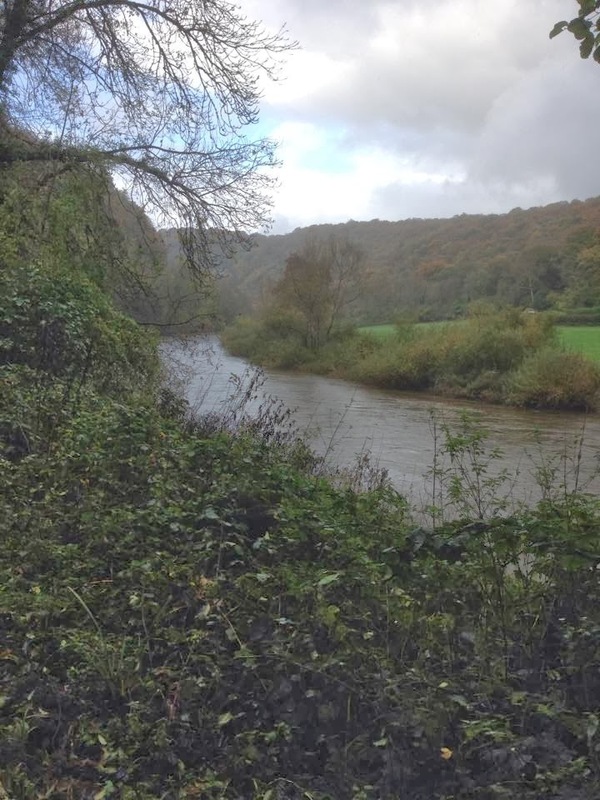 From The Biblins it is about another mile along the path on the East bank (ie same side as Hadnock Halt) until you reach Symonds Yat East. Symonds Yat East is a small hamlet on the edge of the river. 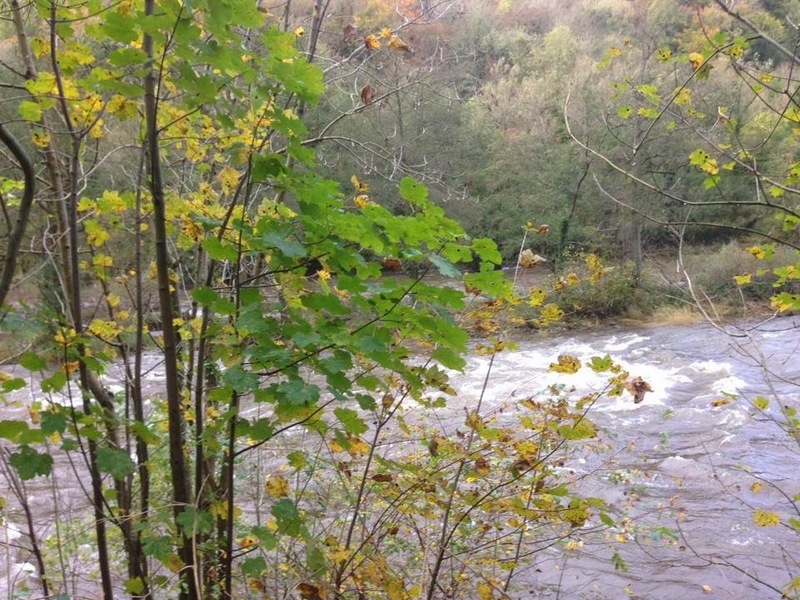 Just downstream, a stretch of rapids is popular with canoeists. 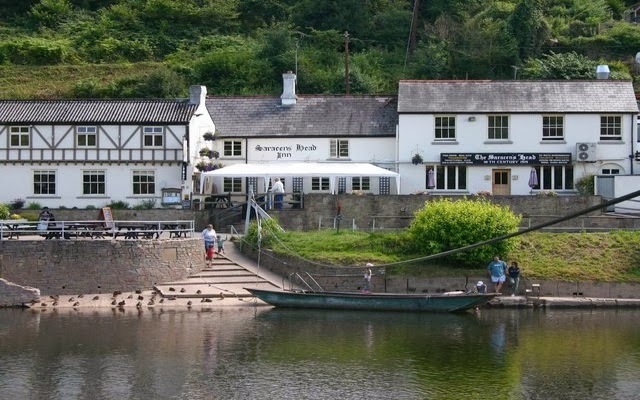 A welcome stop on your walk for delicious homemade food and drink (I know cos we've tried it) is the Saracen's Head at Symonds Yat East. It gets very busy in the summer and at weekends so booking is advisable. 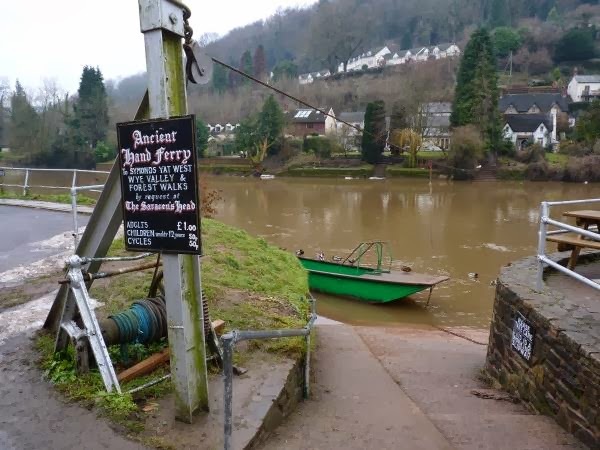 If you want to walk back partway down the opposite bank from Symonds Yat West, to The Biblins Bridge you have the option (when river conditions are suitable) of taking the small 'chain/hand' ferry service across the river from near The Saracen's Head Inn. The small pedestrian ferry (dogs can go) is hand hauled across the river via a chain strung from one bank to the other. In 1800 there were 25 hand ferries between Ross and Chepstow very much like this one They were introduced in Roman Times to link the forts of the Doward and the Yat and have served Military, Civilian, Tourist and Horse traffic over the years. Of the 25 hand ferries only two remain, this one at The Saracen's Head and one further upstream at The Old Ferrie Inn. This route is not called The Peregrine Path for nothing. 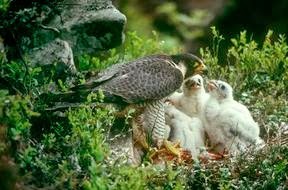 As you walk keep a look out for the pair of Peregine Falcons that nest in the crevices of Yat Rock high above Symonds Yat East. They raise their young between April and September each year when you can see them hunting for small birds, ducks and pigeons. 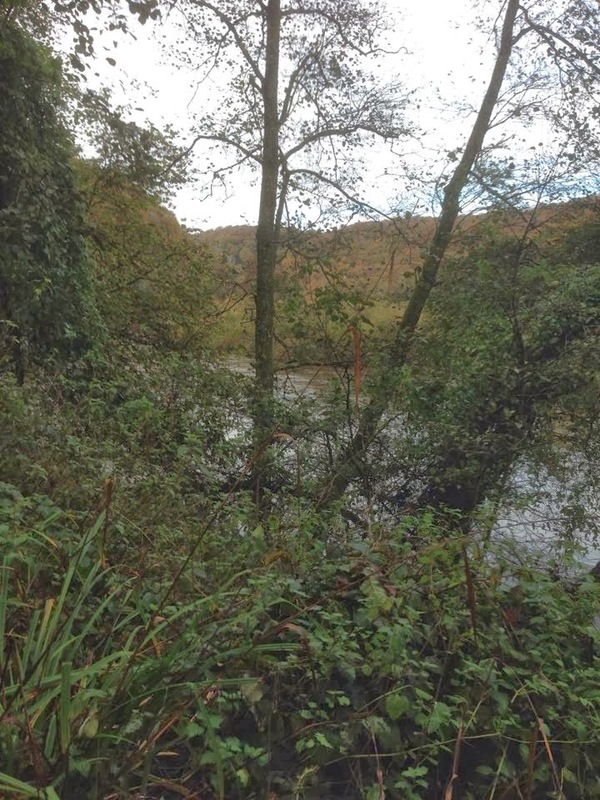 There is an RSPB viewing platform on the top of Yat Rock accessed from the road, with magnificent views along the Wye Valley route where you are now walking. 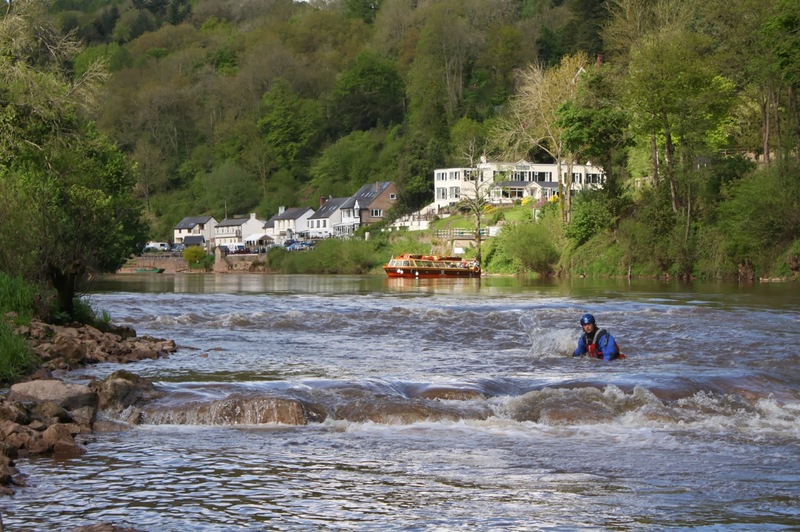 The fantastic scenic views from Yat Rock and other viewpoints along the river and from the river itself, are what give the Wye Valley its reputation as the birth place of British tourism. As you walk the Peregrine Path you are walking in the footsteps of many thousands of people who have enjoyed its scenery before you. 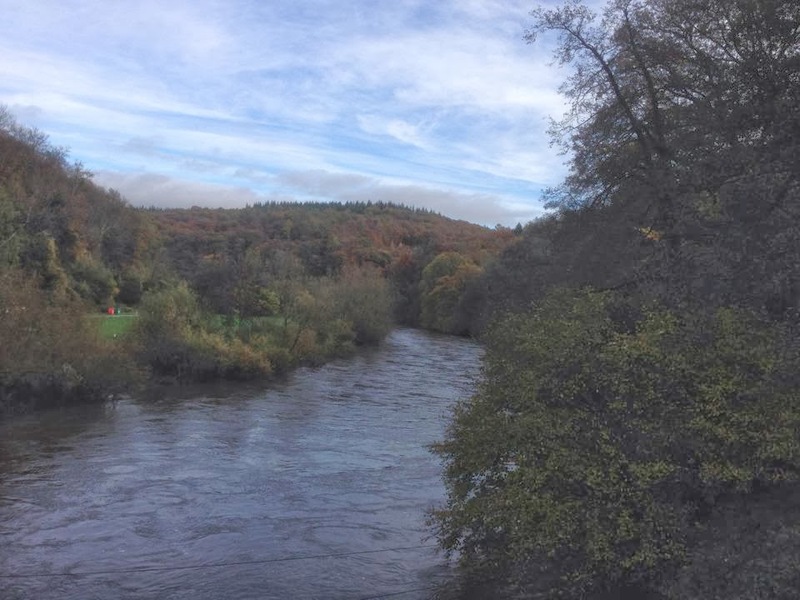 The Wye Valley, classed today as an area of outstanding natural beauty, rose to fame in the mid to late eighteenth century when thanks to the influence of John Egerton who first started the trend of taking people down the river in boats in 1745. 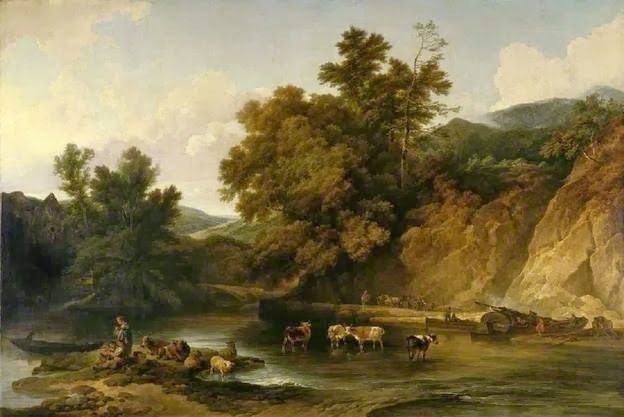 Some years later, in 1782 the publication of a guide book 'Observations on The River Wye' by Rev William Gilpin, further promoted and reinforced its popularity as a destination for sightseeing, romantic poets and picturesque artists, some of the most notable being Pope, Coleridge, Wordsworth, Thackeray and Turner. 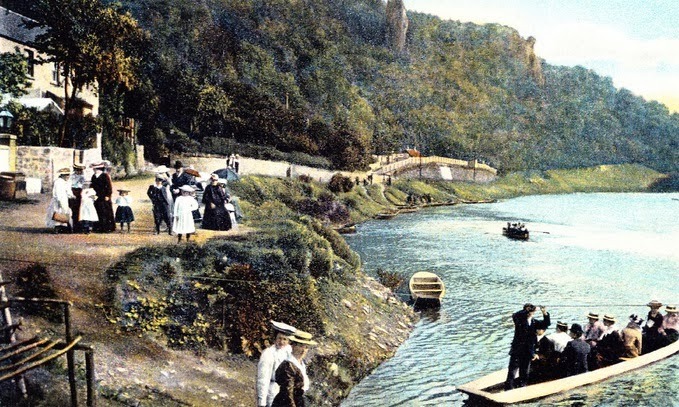 During the height of the Wye Tours popularity in the early nineteenth there were 8-10 pleasure boats carrying 'tourists' on the Wye between Ross and Chepstow everyday. The landscape with the quiet of the sky. 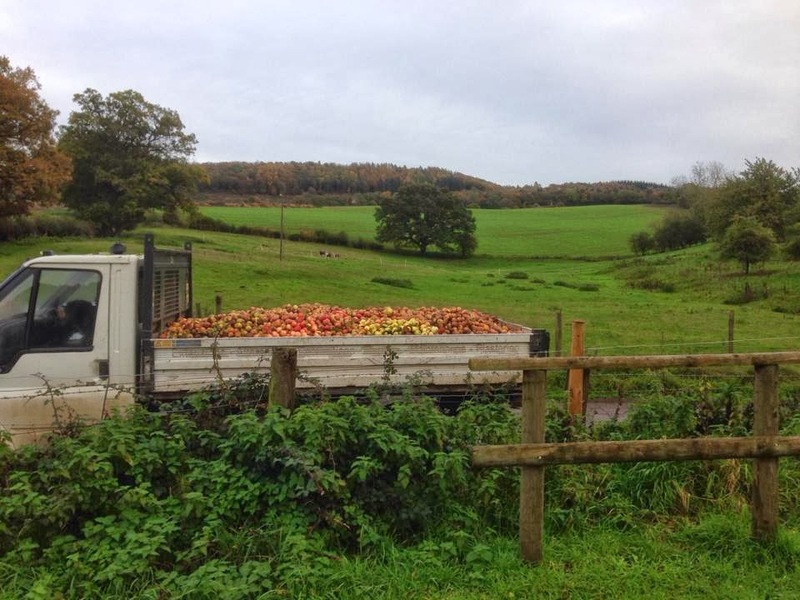 On our return walk, back near Hadnock Halt they were harvesting apples in a nearby orchard for cider!